​Southampton are on the verge of finalising a move for Manchester City goalkeeper Angus Gunn in a deal worth up to £13.5m. According to ​The Sun, the 22-year-old keeper, who spent last season on loan at Norwich City, is set to complete his move to St Mary’s for an initial fee of £10m. Despite never having made an appearance for the Premier League champions, Gunn is highly regarded at the club and when the transfer goes through, will find himself in the top ten most expensive goalkeepers in English top flight history. The England Under-21 international played every match for the Canaries last campaign during his loan spell, racking up 51 appearances in a single season in all competitions, helping guide his side to a 14th place finish in the ​Championship. 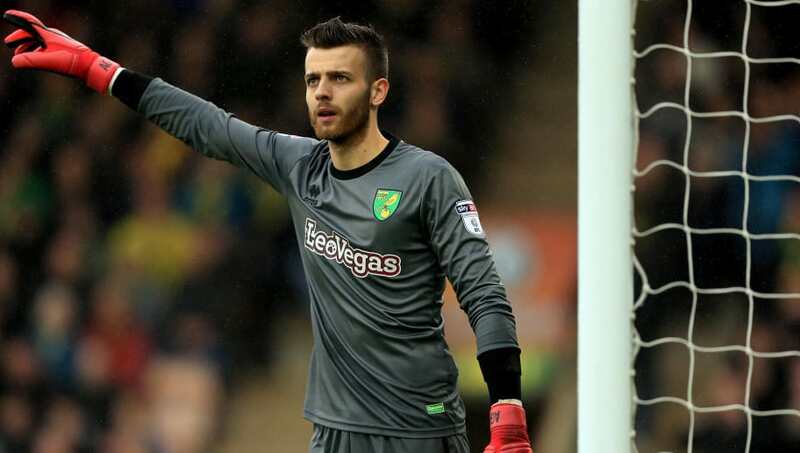 ​Norwich fans voted Gunn, whose father also played for the Canaries for over a decade, third in their Player of the Season vote, behind star man James Maddison, who recently joined Leicester City, and defensive powerhouse Grant Hanley. With such potential, it is no surprise that ​Manchester City are set to include a buy-back clause, as well as a substantial sell on clause in the deal. With the imminent arrival of Gunn, it leaves the futures of current Saints goalkeepers Fraser Forster and Alex McCarthy up in the air, with one likely to depart this summer. ​Southampton ended the ​Premier League season in a disappointing 17th place, having conceded 56 goals in their 38 league games. Forster and McCarthy split the work load throughout last campaign, but the inbound Gunn might give them the stability between the sticks that they have needed.